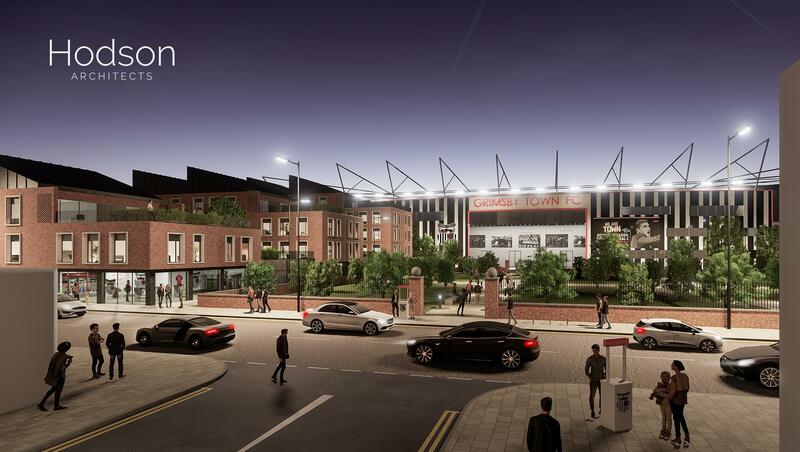 It's not just us being taken by surprise here, Grimsby Town themselves are very cautious about the latest community stadium proposal. It seems a perfect way to go but is also a long way away from reality. When covering British football stadium's we're used to seeing clubs themselves being behind the steering wheel. Even when not investing their own funds, football teams usually are the driving force behind each project. So was the case with Grimsby Town, ever since they had begun exploring options of relocation in 1990s. But their first planned project for Great Coates fell through and the second one – for Peaks Parkway – also proved dead late into 2018. 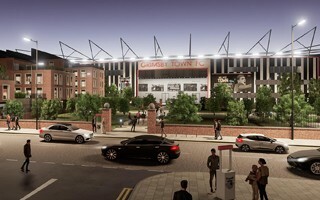 As things stand, their home for over 120 years is and will remain Blundell Park. 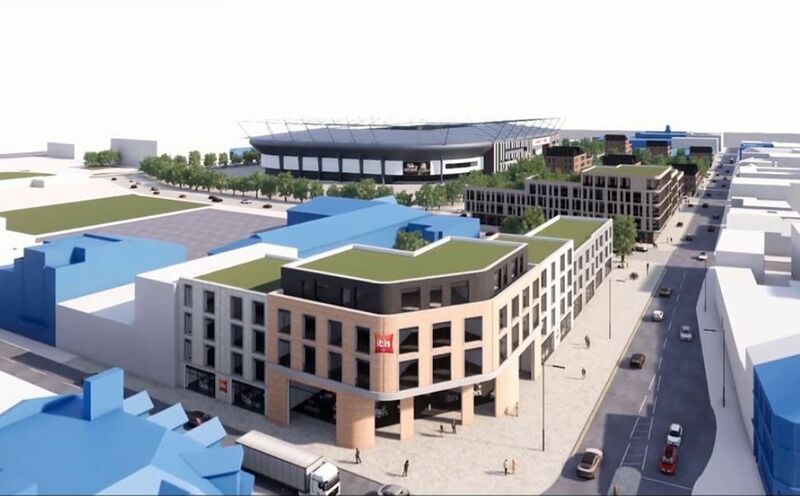 Lovely as it is, the club needs to grow and that's impossible with housing strictly surrounding the site. 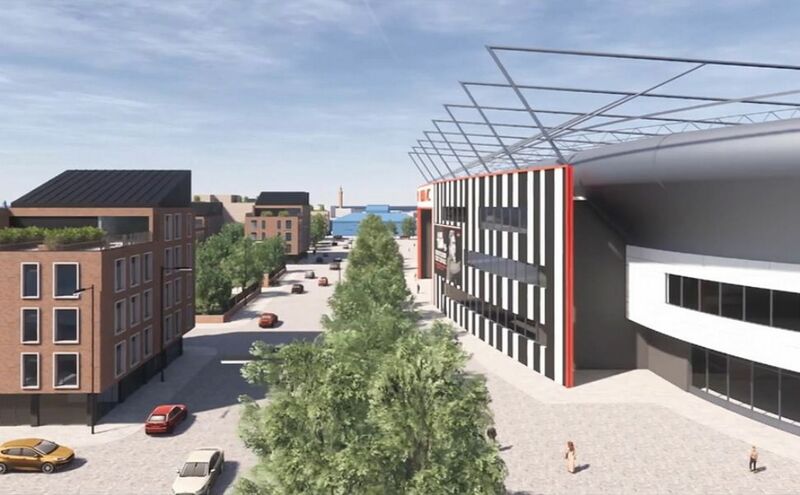 Things seem to have changed in January when news surfaced of a possible new community stadium at East Marsh, in the city centre and just 1.5 km west of the current ground. It seems to be the perfect way of staying within the town proper, within historical roots of the club. Still, the Mariners seem to have been caught by surprise. First reaction was that Peaks Parkway would be easier to develop, despite previous effort for that location having been abandoned. With time passing and preliminary renderings of the East Marsh stadium being shown the mood seems to have changed. Most recent inteview by Grimsby Town president John Fenty shows cautious enthusiasm. “Without their full-hearted support, as we know, nothing will happen. We need their tangible backing. The real question is about viability and funding. We know from the past that just being positive doesn't make it happen.” Fenty said to the Grimsby Telegraph. Presented by the Enrolled Freemen of Grimsby (EFG) and designed by Hodson Architects, the stadium generated very good comments so far. However it has to be remembered that it's not a solid project with funding in place. There's no price tag on it, not even a capacity estimate as of now, even though demolition of housing in the area has already begun for a major revitalisation of East Marsh.